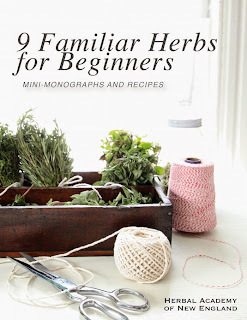 Just a short note to let you know that the Herbal Academy of New England is offering this free e-book on their website: 9 Familiar Herbs for Beginners. If you are new to herbs, or even not so new, and would like more information on familiar herbs such as lavender, thyme, ginger and such; you can't beat a beautifully designed e-book for FREE! 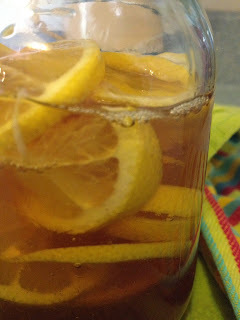 I downloaded it myself and found some new recipes to add to the Still Room book, Herban Root Coffee is one of those. I could do with less caffeine and more herbal goodness these days. I'm not sure how long this offer will be available, so grab this free herb book while you can! Just click on the link above or the graphic to go to their website.